Following an explosion Monday morning near the Port Authority Bus Terminal in Manhattan, New York City’s subway system backed up with congestion just as the morning commute got underway. 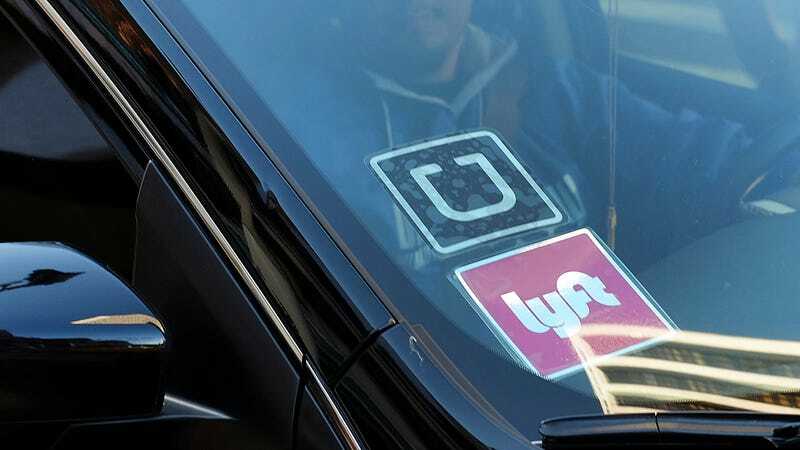 Prices on Uber and Lyft rides also skyrocketed, and both companies have now said they will offer refunds to some passengers in the wake of immediate criticism. Uber eventually turned off surge pricing in the surrounding area of midtown Manhattan, where the explosion took place, a spokesperson told Jalopnik. The decision was made within minutes of seeing reports on Twitter of the bombing, the spokesperson added, and Uber’s “proactively” refunding trips that were surged in the area. A spokesperson with Lyft said “prime time” pricing was capped following the incident. “For passengers who did incur higher prices as a result of Prime Time in the Port Authority area, we plan to proactively reimburse them,” Scott Coriell, the Lyft spokesperson, said. New York City police took Brooklyn resident Ullah Akayed, 27, into custody following the explosion. It appears as if some sort of homemade pipe bomb strapped to the suspect’s chest was used, a New York police spokesperson told Jalopnik, however the type of explosive has not yet been confirmed. At least four people have been treated for injuries. Were you hit with surge pricing Monday morning in NYC, and if so, did you get notified about a forthcoming reimbursement? Drop me a line at ryan.felton@jalopnik.com.